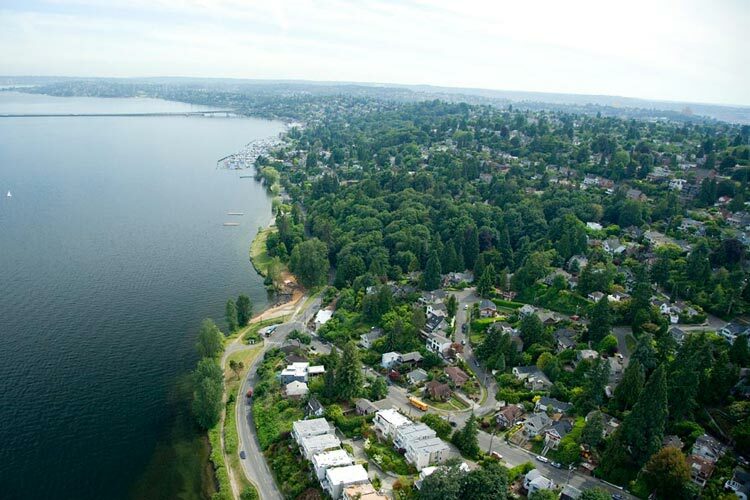 Long-term partnership between Friends of Madrona Woods and GAYNOR successfully restores previously neglected natural areas of Madrona Park, near downtown Seattle. A 100% grass roots and grant-funded effort, accomplishments include: daylighting over 1/4 mile of Madrona Park Creek & creating a new wetland cove at Lake Washington; restoring nearly 12 acres of native habitats; developing over 1/2 mile of sustainable & scenic trails; and providing over 8 years of hands-on environmental education for local schoolchildren. Madrona Woods Restoration, including Madrona Park Creek Daylighting, receives a 2010 Honor Award for Design from Washington Chapter, American Society of Landscape Architects (WASLA). In 2005, Madrona Park Creek Daylighting receives a Special Mention Award for Works in Progress from WASLA.